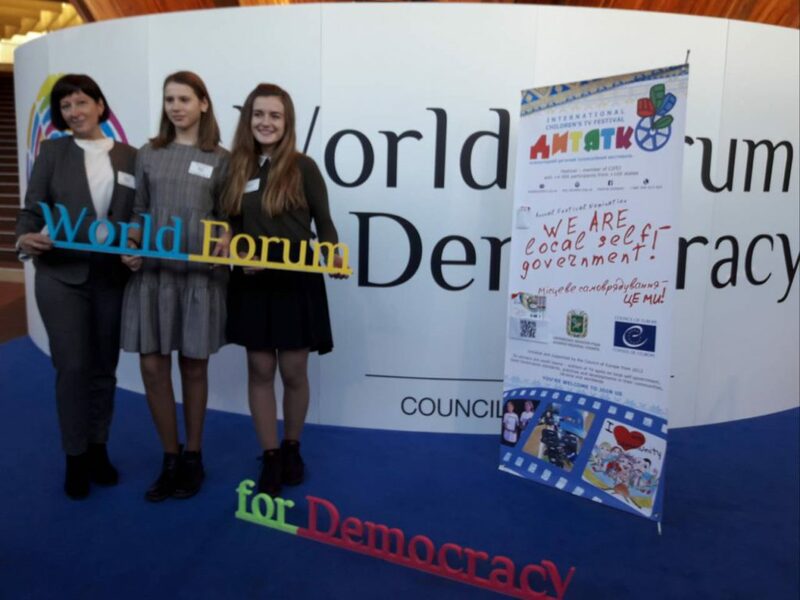 Prize winners of special nomination of the International DYTIATKO International Children’s Television Festival have an opportunity already for the eight time to join in the World Democracy Forum – International discussion which takes place in Strasbourg on November 19-22. 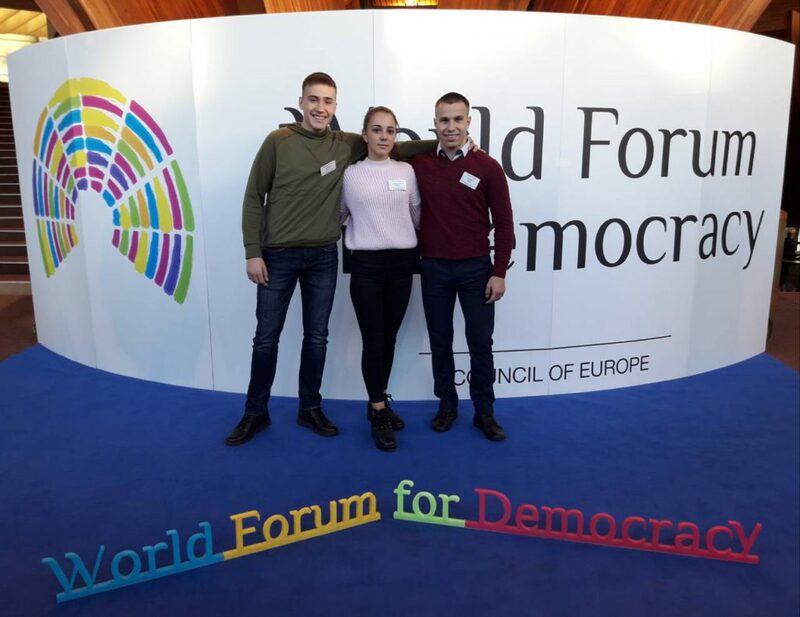 On the first day of the journey the schoolchildren visited the opening ceremony and the debating areas of the forum, this year the dominant theme of the forum is related to issues on gender quality and a struggle against all forms of violence with respect to women. 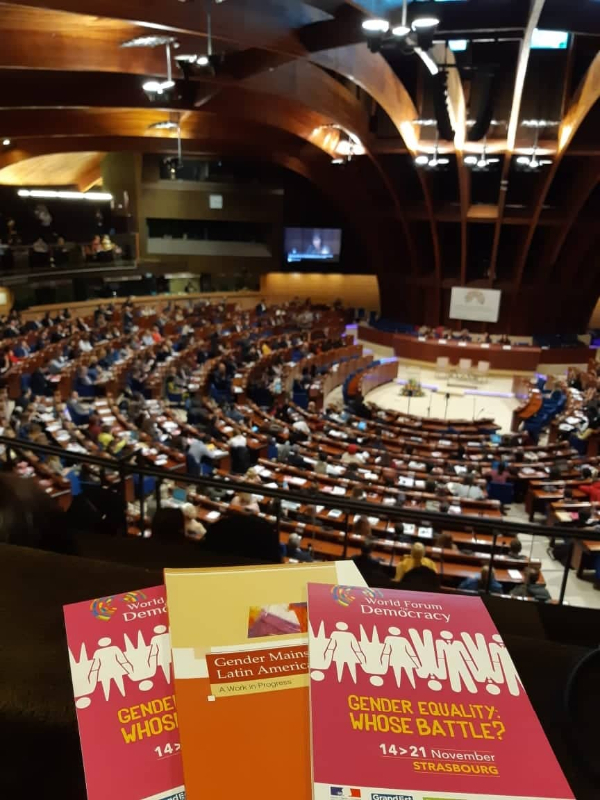 While opening the forum, Thorbjorn Jagland, the Secretary General of the Council of Europe, stated that gender quality is an obstacle for economic development of the countries. He pointed out that women must be properly presented in the government authorities, including large private organizations and corporations. According to his words, the only example of female government which is working in Europe nowadays is the Spanish government. There are eleven women among 17 ministers in the government there. 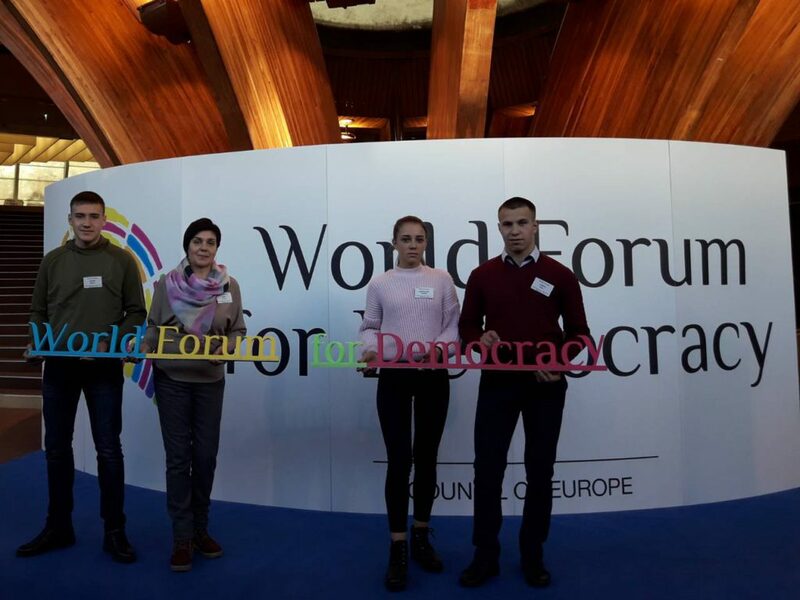 Dolores Delgado, Minister of Justice of Spain said that the country had been moving a long time towards that configuration and such an event as “a woman in the government”, but nowadays the gender issue is still a topical matter for the country. “Especially it is true as far as it comes to violence against women. The statistics demonstrates enough to outline the problem. So, using the example of our country: 972 women have died from violence since 2003. This year 44 women have died. That is why this problem must be the question of the hour in the world. We should consolidate in this respect,” – said the Minister. According to her words, in 2017 the country ratified the National Covenant against Violence – it is an important document outlining the national policy with respect to gender quality. The Covenant includes a struggle against stereotypes, information measures for upbringing, especially with respect to the young people and teenagers, equal possibilities both for men and women as for salaries and emoluments, education of the police and military forces taking into account gender-based principles. 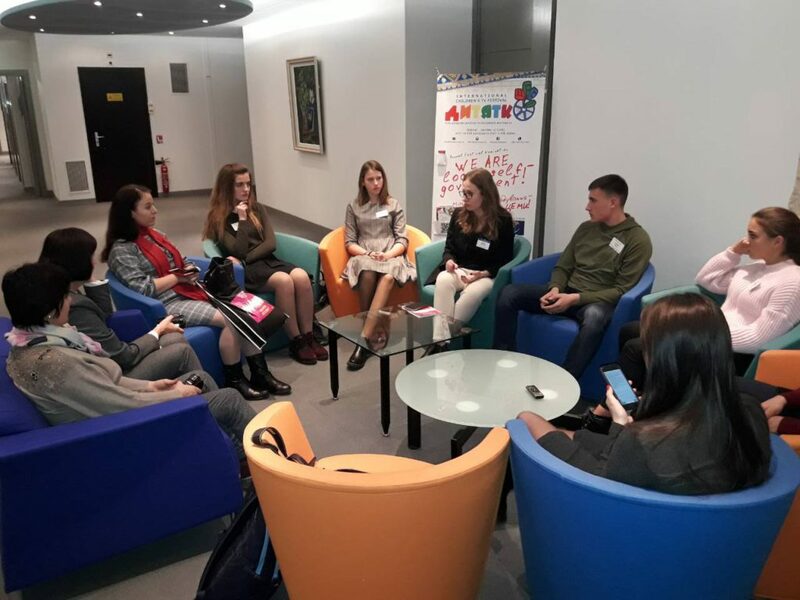 Oleksandra Holub, Head of Women’s Rights League “Harmony of the Equals” focuses on importance of education and upbringing for creating the proper gender viewpoint; she is also the only speaker representing Ukraine on the forum this year. 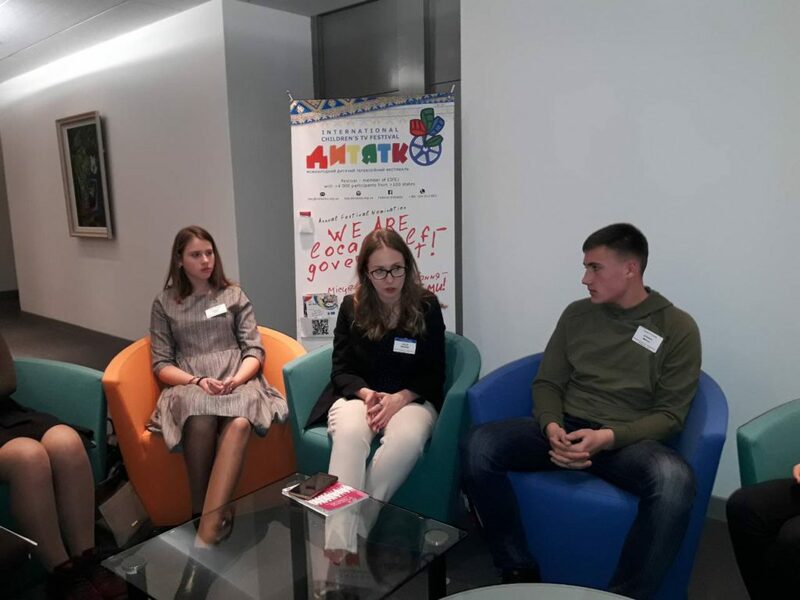 The winners of the children’s festival talked to an expert on the subject of upbringing leadership in the youth, as well as importance of educational institutions in this process. 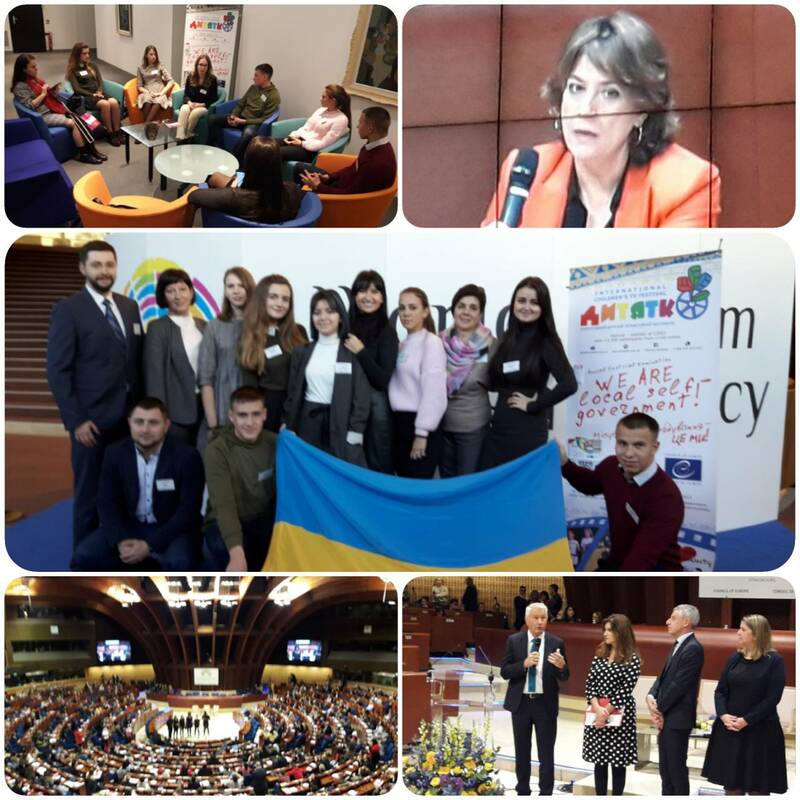 Let us recall, in 2012 at the initiative of Sergii Chernov, Chairman of Kharkiv Regional Council, the President of the festival and with the support of the Council of Europe Office in Ukraine, the DYTIATKO fesfival established the nomination “We are the local self-government!” This year a team of schoolchildren from Blyzniuky created the best video works in this nomination and won the first place. 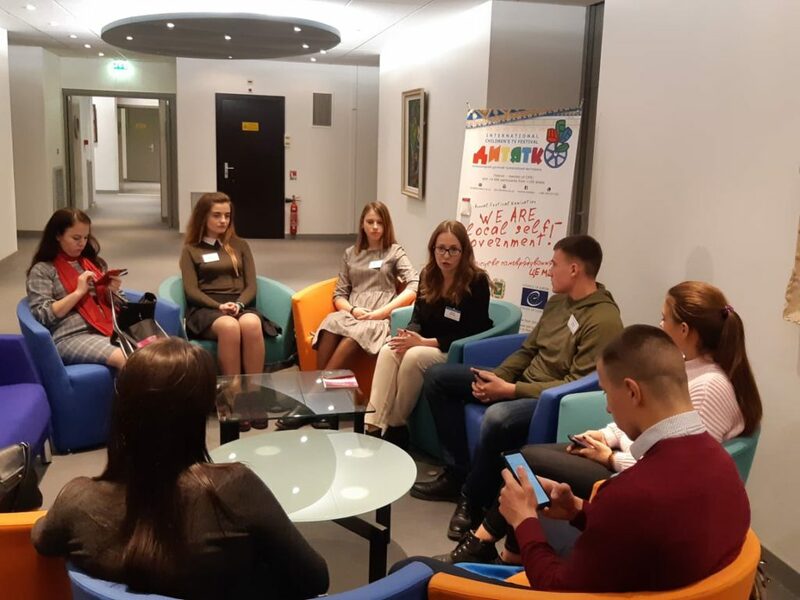 Schoolchildren from Radyvyliv (Rivne region) and Lviv got the second and the third place accordingly.